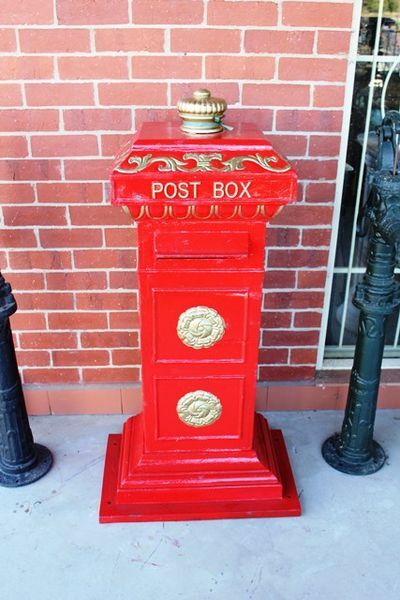 Cast iron English style post letter box. 68x44x136cm high. weight 220kgs.